Bridgeport, WA was fading in into the surrounding fields and orchards, but was revived with the construction of the Chief Joseph Dam. Nestled on the outside of a bend in the Columbia River, the small single-square-mile town is home to the second largest hydropower producer in the country. The old mining town, turned agricultural center, was shrinking in population in the 1940s. Though engineers recommended a site just north of the town where Foster Creek spilled into the Mighty Columbia suitable for a dam in 1927, it would be two decades before the town would benefit from the economic and population boom. As people trickled out of the farming town, the population sank to 300 and by 1940, Bridgeport could not longer sustain a four-year high school. Juniors and seniors had to ride a bus 45 minutes away to complete high school in a larger town. On approval of the dam project in 1946, Bridgeport's population started to grow and when construction of the dam began in 1950, the town's population suddenly grew ten times. The once disappearing town now struggled to meet the demands placed on its infrastructure by its new residents. The solution was found with funding appropriated by congress, but it took some convincing. Just because the project was approved, congress still had to grant funds every year. 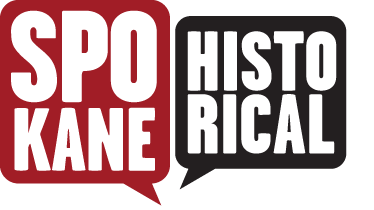 Lobbying and public relations to convince congress to designate as much money as possible affected every aspect of the project, including the name. Originally the project was known as Foster Creek, but reported by the Spokesman Review, the decision was made to change the name to Chief Joseph, "so that legislators as far away as Washington D.C., would be impressed - not unimpressed by the damming of a mere creek." 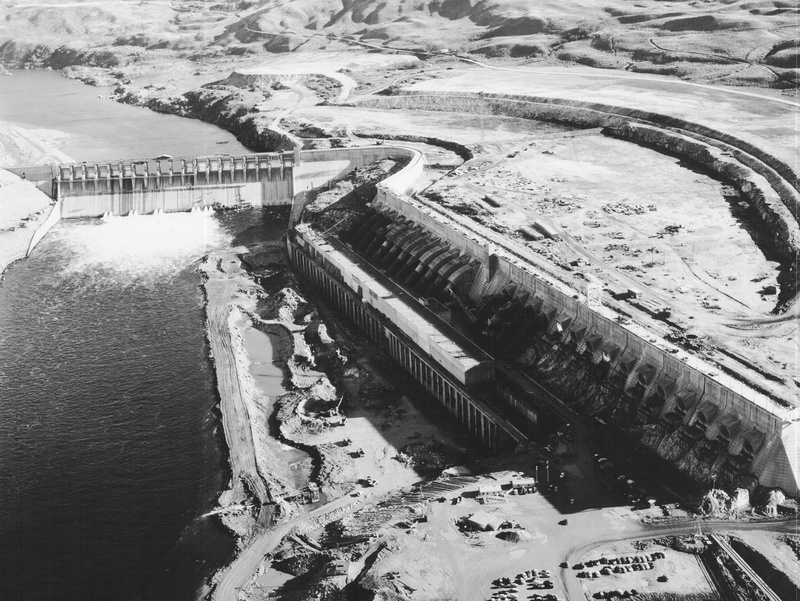 After six years of construction, the dam was complete and the population of Bridgeport continued to rise. Today Bridgeport is the second largest population center in Douglas County. Recreation on the reservoir behind the dam, Rufus Woods Lake, includes fishing, boating, hiking and camping. 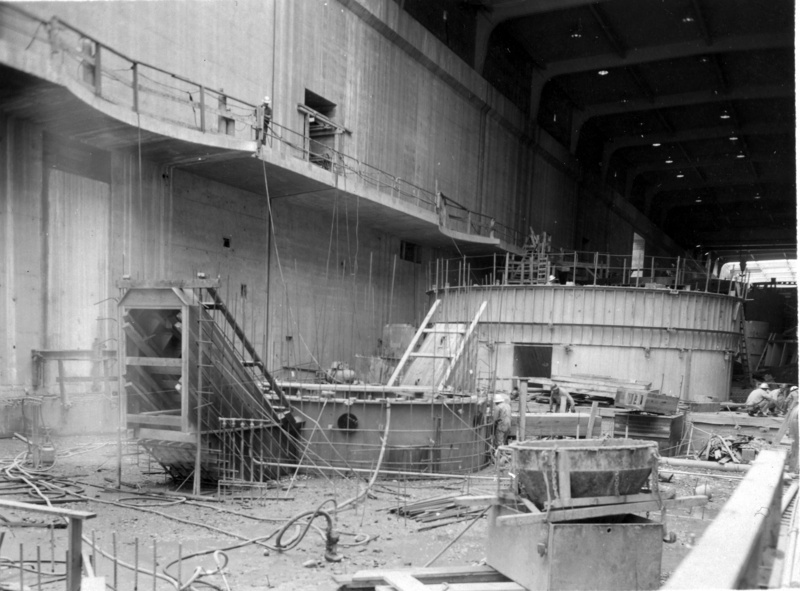 Chief Joseph Dam Construction: A view inside the power plant during the construction of one of the turbines. August 1954. Courtesy of the US Army Corps of Engineers. Chief Joesph Dam: Construction of the Chief Joseph Dam. March 1954. Courtesy of the US Army Corps of Engineers. 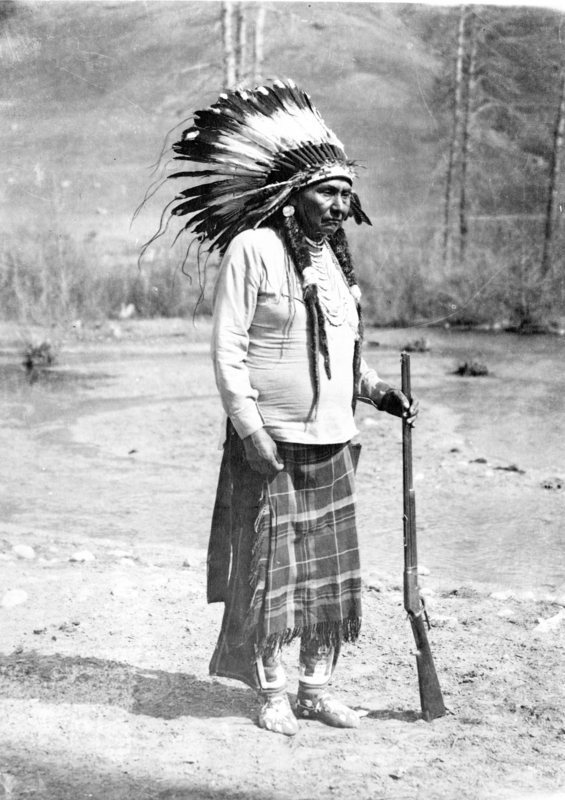 Chief Joseph: Chief Joseph in 1903. He died in front of his teepee n 1904, rumored of a broken heart. Courtesy of the Spokane Public Library Northwest Room. Chief Joseph Dam: Chief Joseph Dam today. Courtesy of the Army Corps of Engineers. Chief Joseph Dam: The beginning of construction of Chief Joseph Dam. February 1952. Courtesy of the US Army Corps of Engineers. 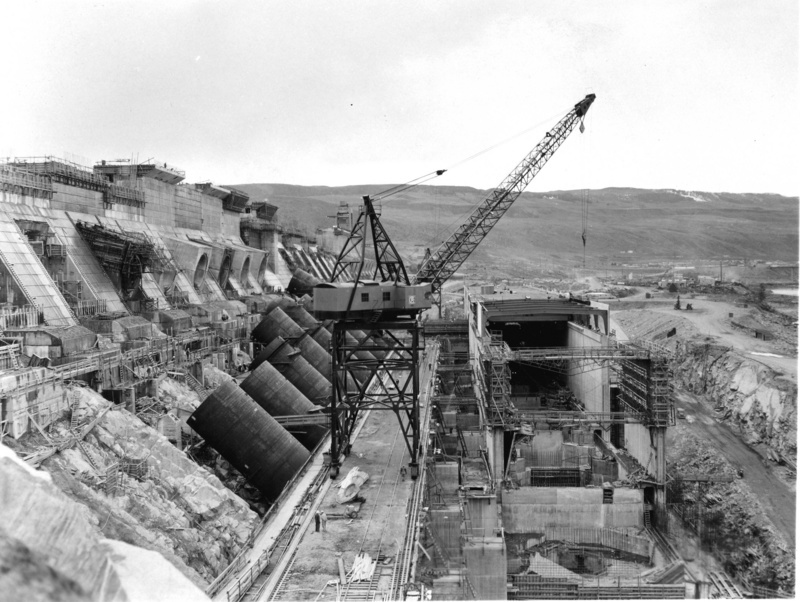 Chief Joseph Dam: Construction of the Chief Joseph Dam. March 1953. Courtesy of the US Army Corps of Engineers. Erin Pulley, “Chief Joseph Dam,” Spokane Historical, accessed April 20, 2019, https://spokanehistorical.org/items/show/431. 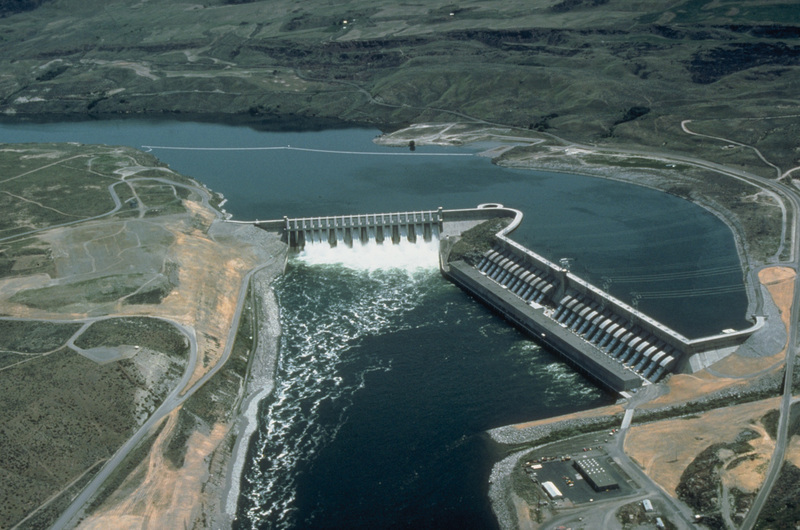 U.S Army Corps of Engineers, "Chief Joseph Dam," http://www.nws.usace.army.mil/Missions/CivilWorks/LocksandDams/ChiefJosephDam.aspx. U. S. Census Bureau, "Census of Population and Housing," http://www.census.gov/prod/www/decennial.html. 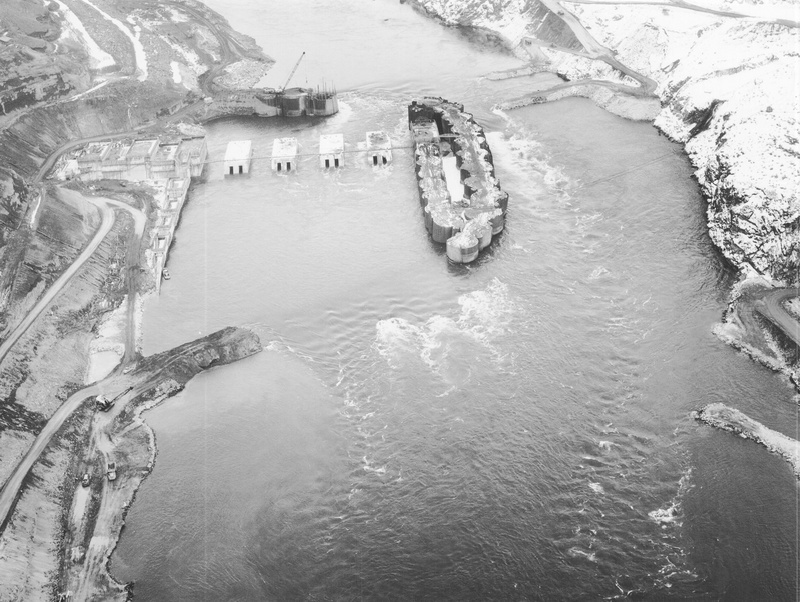 "Chief Joseph Dam: New Chapter in Harnessing of the Mighty Columbia," Spokesman Review, (Jan 8, 1950). "A Chief...A River... A Town... Now a Great New Dam," Spokesman Review, (Jun 6, 1956).